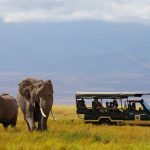 With its profound natural beauty, exquisite wildlife and friendly people, Southern Africa is an outstanding regional destination in Africa for romantic safari honeymoons. These destinations are as diverse as the region itself and with a relatively mild climate, honeymooners can enjoy comfortably hot days and cool nights. Game-viewing can be experienced in a variety of different ways and the birdlife is out of this world. 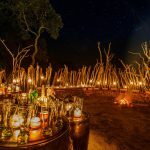 Warm hospitality is the perfect accompaniment to the fine dining and deluxe lodgings to be expected when on a safari honeymoon in one of these Southern African countries. 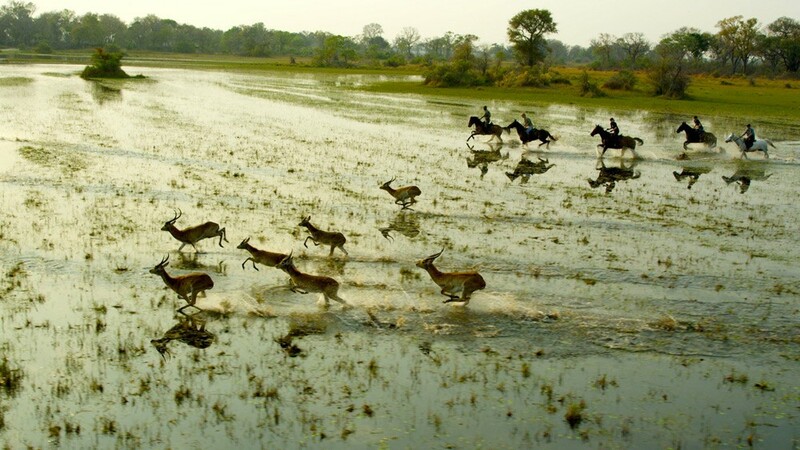 The Okavango Delta in Botswana is one of the wildest yet indulgently romantic destinations in Southern Africa. 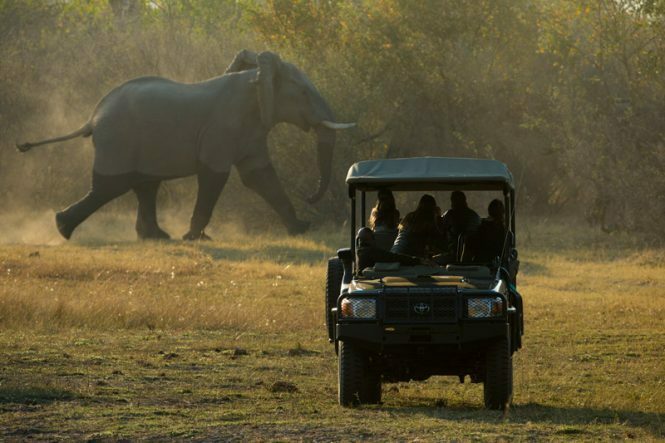 With five star lodges and camps in the middle of breath-taking locations that are teeming with diverse wildlife, a honeymoon in Botswana is a complete albeit expensive safari experience. The wide variety of activities that are on offer to honeymooners means that both partners, no matter how different their interests, will undoubtedly have a fantastic time in Botswana. Impressive adventures into the bush on game drives, boat cruises and canoe safaris are equally matched with some downtime back at the lodge. 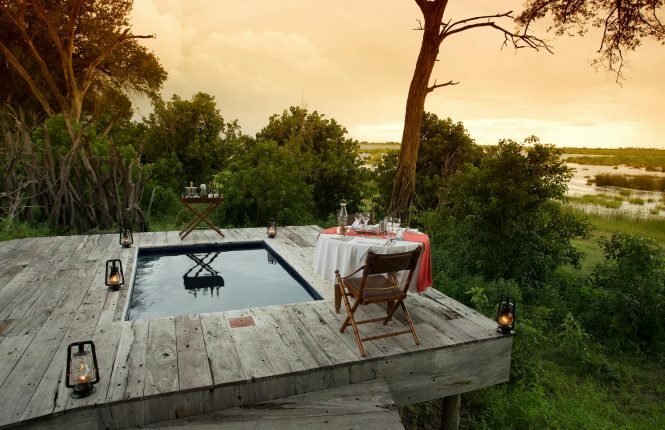 Elegant plunge pools, secluded decks with stunning views, and alfresco fine dining under the stars are what safari honeymoons in Botswana are all about. Morning and evening bush activities are well-balanced with blissful relaxation in between. Service in Botswana is most definitely with a warm smile and all expectations of the perfect safari honeymoon are consistently met. For couples with a favourable travel budget, Botswana is an extraordinary honeymoon destination where you will create extraordinary moments and lifelong memories together. A South African honeymoon can be closely tailored according to each couple’s travelling styles, interests and budgets. 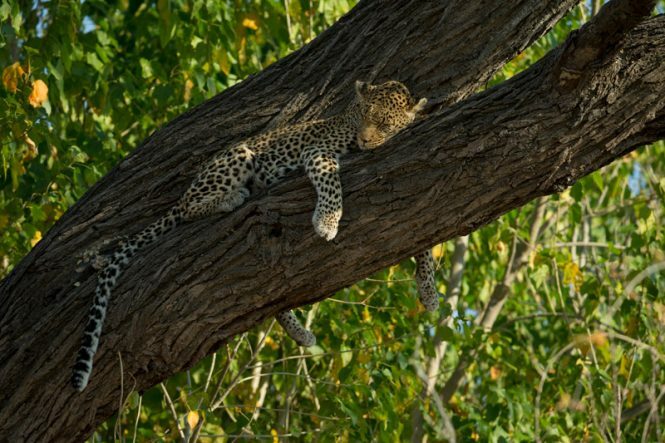 The climate in South Africa’s safari locations is generally good for game-viewing throughout the year, although like most of Africa, wildlife is easier to see in the drier months when vegetation is sparse. 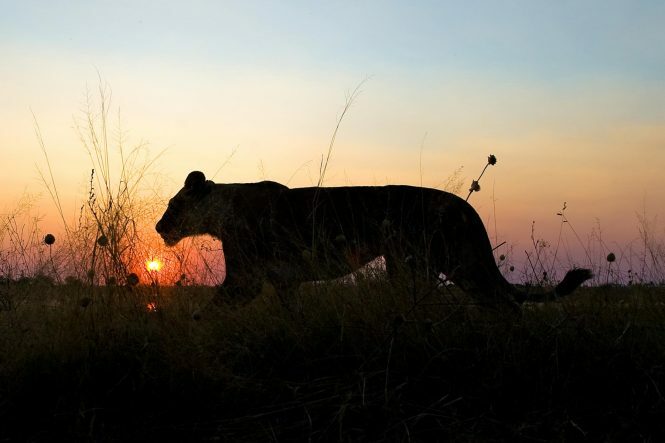 The major reserves, such as Kruger National Park and Sabi Sands Private Game Reserve, are home to the Big 5. This guarantees a safari honeymoon in South Africa to be filled with incredible photo-worthy moments. The landscape of South Africa changes from golden grasslands to rocky outcrops and distant purple mountains; the perfect backdrop against which to encounter wildlife. 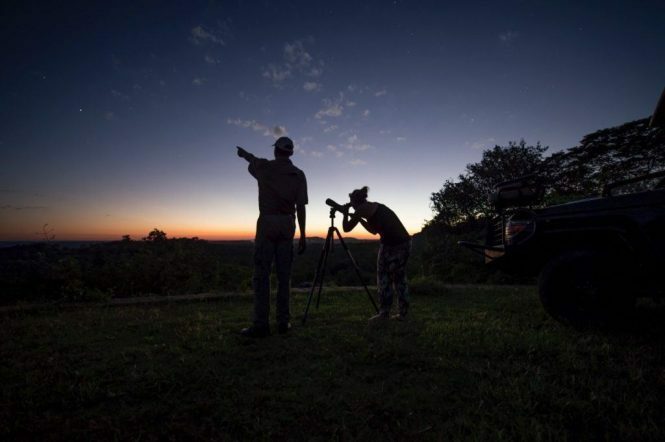 Luxury game lodges are the mainstay of a safari honeymoon in South Africa. You’ll get to recline amidst beautiful interiors whilst drinking in the natural beauty of the surrounding bushveld. Fine dining is influenced by delicious local flavours and complemented by the best wines. At some lodges, you can expect a wonderful spa treatment after an exhilarating morning game drive. Even with your eyes closed, there is a true awakening of the senses when on a safari honeymoon in South Africa. The distinct smell that hits your nose when walking past a Sausage Tree, the feeling of bark from the Baobab Tree under your fingers or the screech of a fish eagle when it plunges feet first into the water to catch its prey; these are the essences of the South African bushveld. 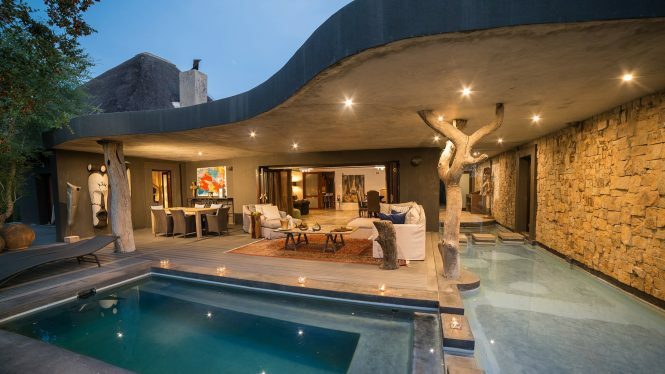 With all the bells and whistles of safari honeymoons in Botswana and South Africa but at a considerably cheaper rate, Zimbabwe honeymoons are becoming a popular option for newlyweds wanting an incredible getaway that doesn’t break the bank. The secluded and pristine wilderness locations of Zimbabwe make it another of Southern Africa’s gems. 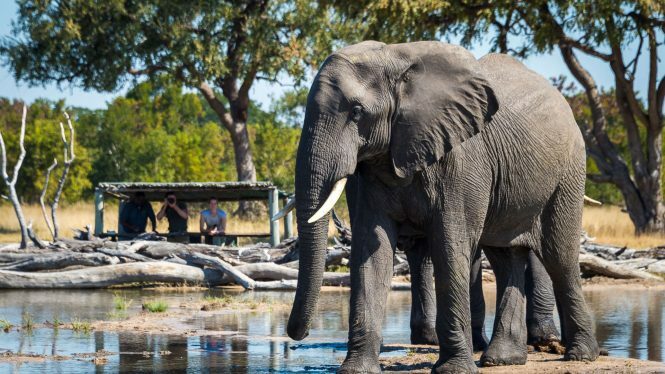 The grasslands and mopane woodlands of the Hwange National Park provide excellent opportunities to witness wildlife up close, with Zimbabwe being well-known for its top-notch guides. 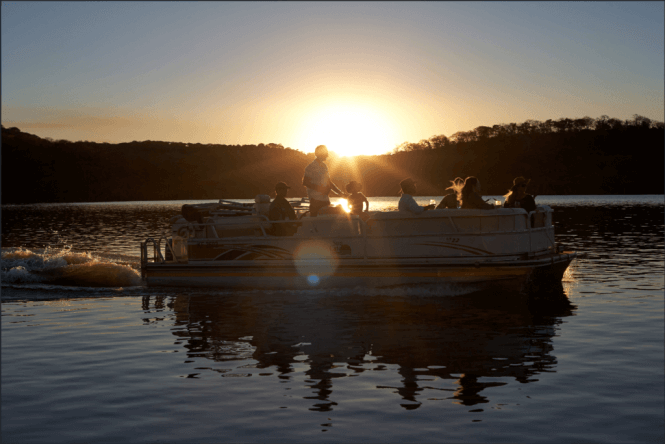 The Malilangwe Dam in the Malilangwe Wildlife Reserve is the perfect spot for a boat cruise at dusk. Honeymooners are looked after like royalty in Zimbabwe. Superb luxury lodges in the private concessions in the various reserves offer couples special touches, such as private star-gazing, sleep-out beds and romantic candlelit dinners. Sunsets are a magical time to be enjoyed with a chilled drink in one hand and your loved one’s hand in the other. 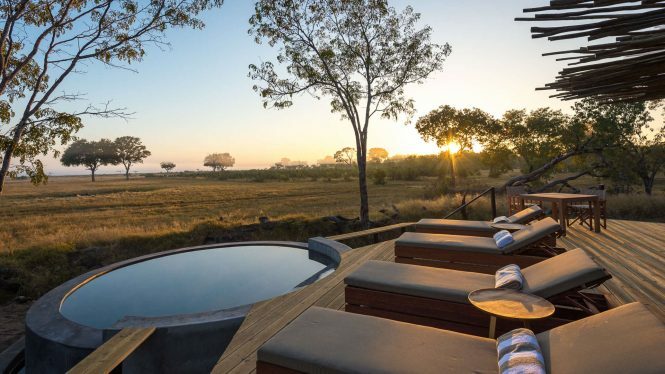 With its striking landscapes, abundant wildlife and completely dreamy accommodation in the African bush, this safari honeymoon destination is the whole package. 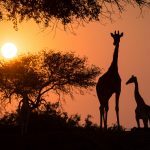 These are just three possible Southern African destinations that make for an unforgettable safari honeymoon. 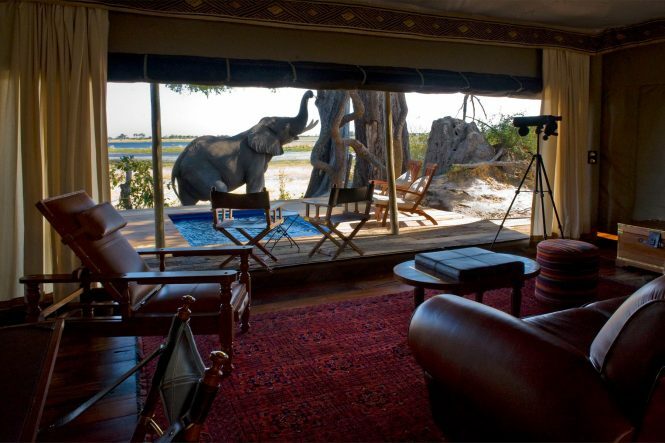 Contact us to find out more about these and other safari honeymoon destinations in Africa.